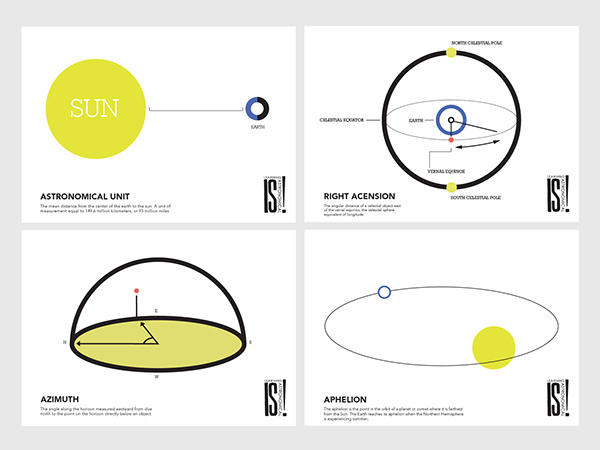 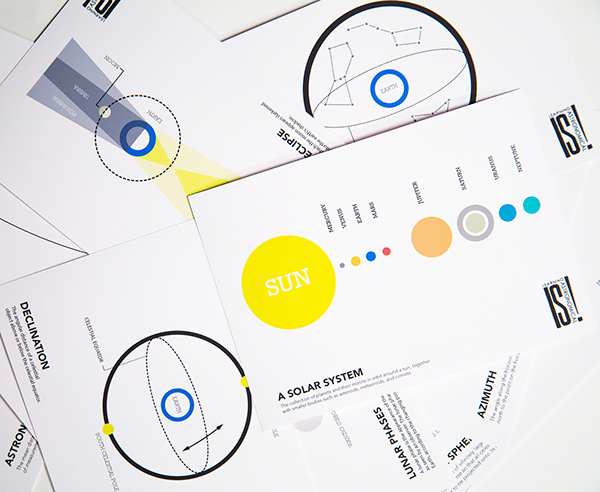 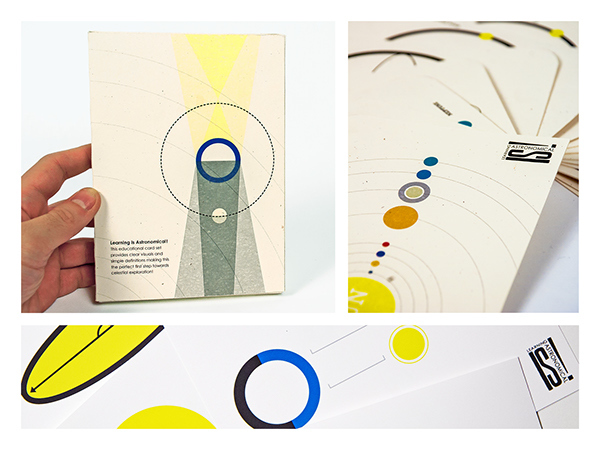 Astrocards was created to serve as an introduction to basic astronomy principles. 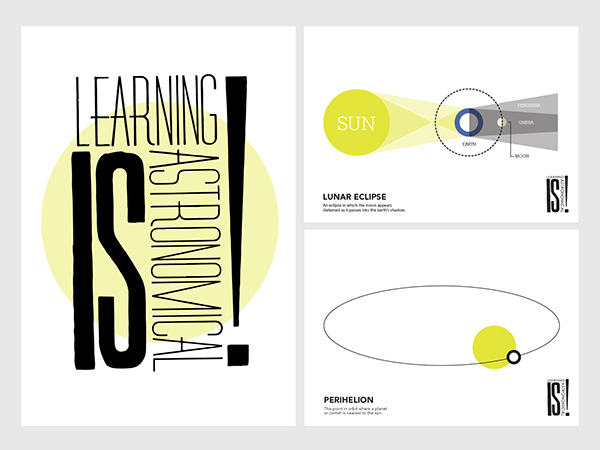 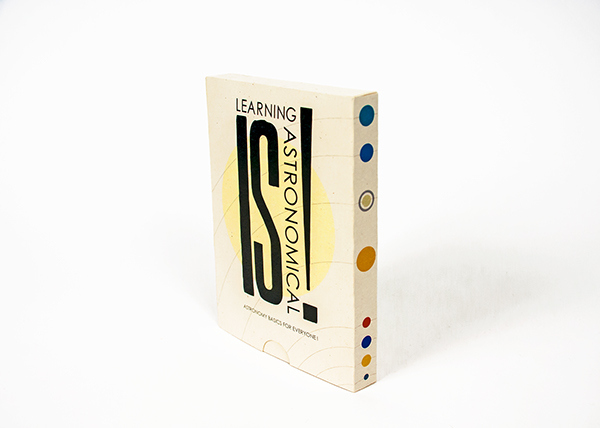 "Learning is Astronomical" is the brand, the logo was created with the "Globe Poster" letter press collection at MICA. 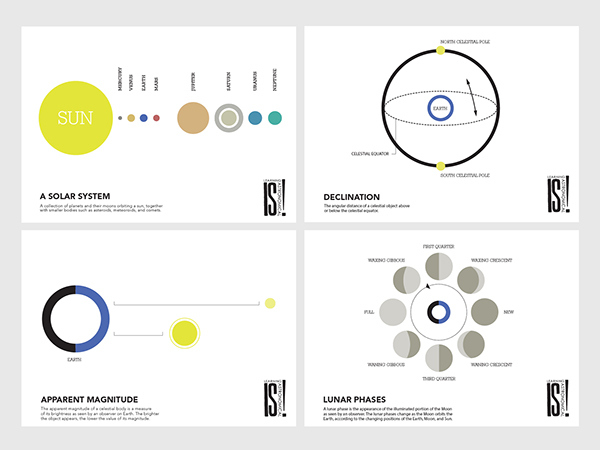 This was created during my first year at MICA and set the tone for much of my work while there, namely space themed everything.